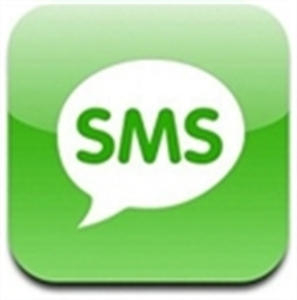 SMS is a method of sending text messages between mobile devices through various mobile & wireless networks. We provide SMS Solutions, SMS messaging service, marketing via SMS, SMS gateway service and mobile empowerment and delivery of wireless applications. We bring effective technological value propositions to your business, built upon our application research and development, consulting and partnering with various technology leaders worldwide. SMS in today's time is much more powerful medium of communication and is making a mark in terms of the low operational costs and extensive reach with speed. It is easy to contact SMS solution providers located anywhere in any country with the growth of internet & modern means of communication. SMS Gateway/ is a software utility that enables you to easily send and receive text "Short Messages" over GSM cellular telephone networks from your local PC or through the network. SMS Gateway works simply by connecting server to the client database. We are largest Web SMS Gateway Provider from India, provide web SMS gateway, bulk SMS gateway, mobile SMS gateway, SMS gateway service, two way SMS gateway and other SMS Solutions to Individual, small businesses, company executive, and working people as marketing and communication tools to keep in touch with their customers, colleagues, suppliers or even their friends. Our SMS Solutions are helpful for you in alerting, monitoring, calls to action, data-driven notifications, and many other scenarios in which you want to communicate with a mobile phone in an automated or non-automated manner. Our SMS Gateway provides the infrastructure for all types of interactive services and can sent SMS Messaging to nearly all major countries around the world. We provide Web SMS gateway service which is an application that serves Internet content to mobile subscribers using SMS messaging. We are a Leading Bulk SMS Providers, Bulk SMS Provider & Provide Bulk SMS ... Bulk SMS Service, Bulk SMS messaging, we provide Bulk SMS Gateway. HTTP to SMS API (EAPI). The EAPI (HTTP to SMS API) is a RESTful API that uses simple query parameters via URLs.